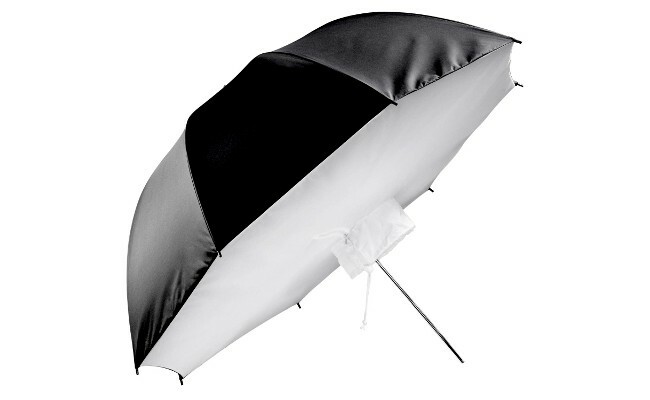 Two styles available: softbox, and softbox bounce: Savage's Umbrella Softbox gives you a low cost way to achieve the soft, directional light of a softbox but with the easy open characteristics of an umbrella. This eliminates the time consuming and tedious process of softbox assembly. Simply attach your speedlight to any light stand with a standard umbrella adapter (not included) and attach the umbrella softbox like you would any umbrella. Can also be used with studio strobes. Savage's Umbrella Softbox Bounce gives you a low cost way to achieve slightly greater contrast than would be possible with our Umbrella Softbox. 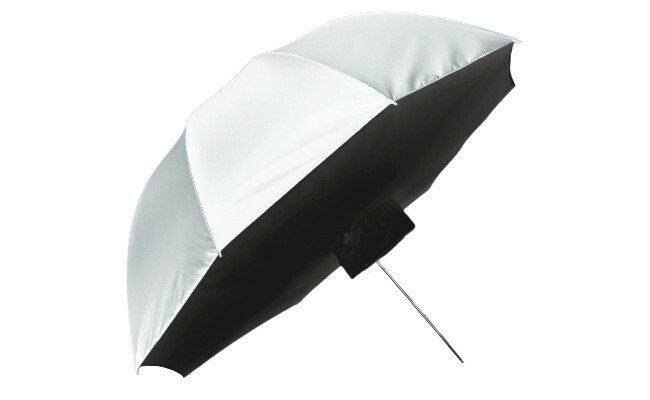 It has the same easy open characteristics of an umbrella. This eliminates the time consuming and tedious process of softbox assembly. Simply attach your speedlight to any light stand with a standard umbrella adapter (not included) and attach the Umbrella Softbox Bounce like you would any umbrella. Can also be used with studio strobes. Available in sizes: 36" and 43" diameter.